HANDCRAFTED AND HIGH QUALITY YACHT MODELS EXECUTED BY WORLD-FAMOUS SAILOR. Piter Przybylski - , Match Racing World Champion in 2002 with Karol Jablonski, part of the world’s top ranked Match Racing Team for 2 years (2002-2004). 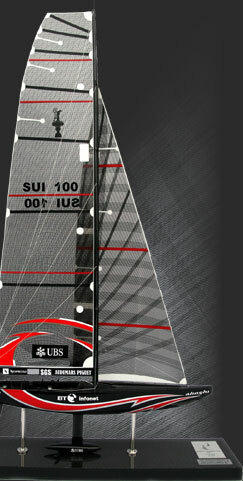 As the trimmer along with the Chinese team fought in the 32 America’s Cup for the highest trophy of the yachting. 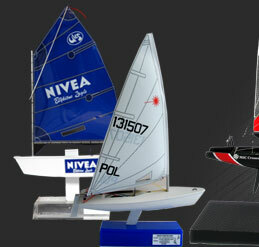 Peter runs also in many boat-race of prestige on the world ..
From connection of high level sailing and unique abilities, our company has been proudly producing beautifully handcrafted yacht models. Working team with full precision, passion and innovative ideas takes care of production. There are using the best materials to create unique yacht models.